Jhansi is one of the historic city in the state of Uttar Pradesh in India. Jhansi RTO is responsible for conducting all the tasks efficiently. It has been established as per the provisions of the motor vehicle act of 1988. Transport commissioner heads the operations of Jhansi RTO. One of the major purposes of establishing Jhansi RTO is the enactment of a motor vehicle act of 1988. One of the prime tasks of Jhansi RTO is online information management of all modes of transport. Online data management further assists in many other tasks, some of them have been shown below. Online availability of RTO information makes the entire process quite swift. It makes the process automated as there is no need for manual intervention. Even the appointments to offline visit can be scheduled easily & swiftly. Jhansi RTO is responsible for managing the database of all the vehicles in Jhansi city. These assist in keeping the track of all modes of transport. If any misconduct happens through any of the vehicles it can be immediately tracked down. Jhansi RTO is the only entity that is authorized to issue any kind of driving license. Types of driving license it issues are as follows. There is a proper process that needs to be followed for issuing a specific kind of license. Learning license is issued for the period of six months only. In order to receive the learning license, an applicant needs to submit 6 passport size pics, identity and address proofs and other documents as applicable. It is valid only for the period of 6 months. After learning license is expired, the person must apply for the driving license. The process of getting the driving license is quite systematic. Applicant needs to schedule an appointment for RTO visit. After visiting there, they need to submit certain documents. Along with these documents they need to undertake driving tests. Upon successful completion of all the steps, only the driving license is issued. Steps for getting the driving license can be tabulated below. If your documents are successfully verified on the same day and tests are accurate than you can receive the driving license on the same day. Driving license can be granted within a day by Jhansi RTO if all the documents are accurate and verified on the same day. At the same time, it's mandatory to undertake and successfully complete all the driving tests. An international license might be required if you plan to shift abroad from Jhansi. RTO in Jhansi can issue you the same easily. You just have to submit few documents in order to receive the same. In addition, you may need to visit the RTO office. All the licenses issued by Jhansi RTO are mandatory to possess by all the people who drive any vehicle. Jhansi RTO is responsible and authorized to give all kinds of special permits for any mode of transport. Types of permits that Jhansi RTO facilitates are tabulated below. These permits are mandatory for all the special vehicles like the tourist, imported or commercial. 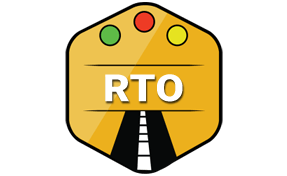 In order to drive smoothly in Jhansi, they must take the required permits from its RTO. Jhansi RTO facilitates registration copy (RC) to all the new vehicles purchased in the city of Jhansi. The process of issuing the same is simple. The vehicle owner must submit a certain set of documents along with a nominal fee. After receiving the required details, RC is issued within no time. Before RC, temporary registration copy is issued. Jhansi RTO also facilitates in making any changes in the RC. Transferred vehicles from other states to Jhansi needs special permission. They can be driven within the grace period of just 3 months, after that they must collect NOC from the RTO. NOC acts as a permission for outstation vehicles from other states. Jhansi RTO is engaged in conducting any kinds of driving tests. Kinds of tests it needs to organize are related to driving and checking vehicle fitness. For driving, Jhansi RTO assists in conducting both theoretical as well as practical tests. These tests are mandatory to check the traffic awareness and driving skills of the applicants. Other tests that it conducts are vehicle emission tests to check the health of the vehicle. Vehicle emission certificate is issued only once the vehicle successfully completes the emission tests. Jhansi RTO also facilitates pollution tests for vehciles as well. Jhansi RTO facilitates the training that can help people learn driving. Some of the training it conducts are also focussed to make people more aware about road safety and traffic rules. There are lots of driving training schools that operate under the guidelines of Jhansi RTO. Timely training helps people in understanding the latest rules and regulations and promotes additional safety among the commuters. Regional Transport Officer (RTO), Jhansi, Uttar Pradesh - 284001.